We have the science to quantify our genetic fates at birth — but should we? The at-home genetic testing boom of the last couple decades has provided us with remarkable insight into who we are, where we come from, and what the future holds for our health. It’s also provided science with invaluable data — and a lot of it. Millions of people all over the world are swabbing the insides of their cheeks in their living rooms in hopes of improving their understanding of their familial health. Armed with the genetic profiles of these voluntary test subjects, researchers are beginning to glean a more nuanced understanding of conditions that have long defied medical insight, not to mention discovering new ones. Researchers are also using that data to refine — or develop entirely new — treatments for diseases that science had since proclaimed untreatable. From there, the prospect of curing incurable conditions seems closer than its ever been. 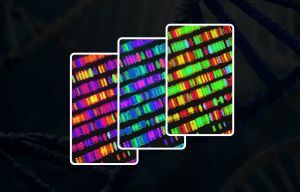 The more such “direct-to-consumer” genetic testing becomes accessible to the general public (that is, the tests become more affordable and easy to use) the more data researchers will have to work with. With all that data is sure to come additional investment. With that investment is sure to come rapid progress towards combatting diseases — not just in what the tests can uncover, but when. We are closing in on an era when newborns could be sent home with more than a hospital blanket and a knitted cap: Parents could leave with a cost-effective and accurate genetic profile of their child. Amit Khera, a cardiologist and researcher at the Broad Institute in Cambridge, Massachusetts calls this a polygenic score, or more colloquially, a genetic report card of sorts. Just imagine: A roadmap of risk for your child’s health. Not only for the next few months, or the next few years — but the child’s entire life. As we uncover more links between our selves and our genes — everything from earwax consistency to personality quirks to taste aversions — we may be able to predict a lot more about a child than just their lifetime risk of heart disease. Genetic risk for a number of conditions can be mitigated by lifestyle, environment, and other factors over which we can exert some control. While the risk of a condition like Type II diabetes is certainly modifiable, we’re learning (as we are with many other diseases) that there are more than one or two genes we have to keep an eye on. The genetic culprits behind certain diseases number not in the dozens, but the hundreds. Humans have thousands of genes in varying positions in our genome. When it comes to assessing risk, the presence of genes we know are involved in certain conditions is balanced against the others — usually in percentages — and the risk is reported as an average. As more genes are identified as being linked to certain conditions, these predictions will become more accurate. Improving risk assessments would matter not just for infants at birth (if not for fetuses when they’re still in the womb) — but the rest of us, too, who may be more at-risk for a condition like heart disease than we realized. The question, then, becomes what, if anything, do we do with our knowledge of those disease predictions? What should medical professionals do with that information? If the risk is something that can be mitigated by changing one’s diet, starting a medication, quitting smoking, or even wearing a fitness tracker, the information would be actionable. If the condition is inevitable, then is being able to forecast one’s future medical hardships a blessing or a curse? This debate is particular important in the realm of predicting neurological diseases like Alzheimer’s. If a genetic test indicates someone is likely to develop Alzheimer’s — and even goes so far as to give that person an idea of when they will begin to develop symptoms — it could give them time to prepare. How would the timing of that information impact how a person lived their life? If an adult was told they would develop the condition within the next decade, they would probably be grateful to have the time to make arrangements with their families and caregivers about certain wants and needs. But what if someone learned that information at age 25? At 15? Or if people had to live their entire lives with the knowledge of their inevitable cognitive decline because they were assigned an “Alzheimer’s score” the day they were born? These questions will largely be informed by the rate at which effective treatments are developed for the diseases that genetic tests are screening for. It may be that, by the time we receive a “genetic report card” in childhood, the options for treating (if not reversing) age-related diseases may mean our risk score hardly troubles us at all. But between now and that time, there will be a great deal of uncertainty — thanks to our knowledge of our health fates outpacing our ability to combat those fates.